As proven by many hardworking millennials, it is possible to generate multiple streams of income if you're resourceful enough. 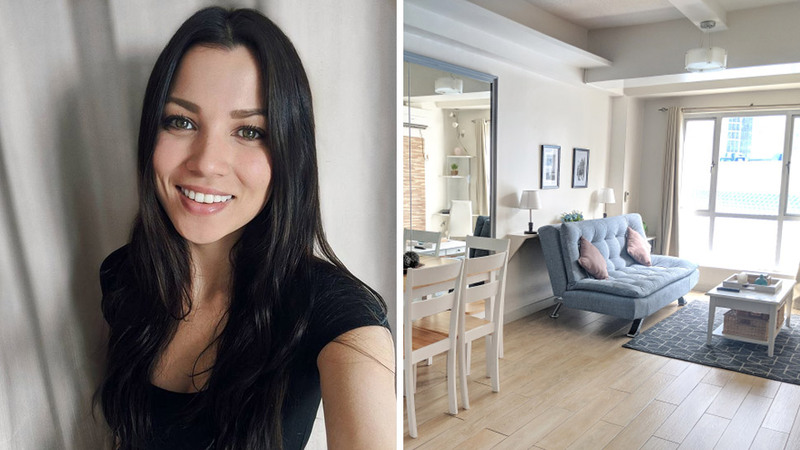 Model, Airbnb Superhost and blogger Julia Quisumbing proves just that, because while her condo in Baguio is already generating her P40,000 to 60,000 monthly on Airbnb, she's also making an extra P15,000 to 20,000 a month by managing a home in Metro Manila. Intrigued, yet? You don't need to own property to generate extra income via rentals. Read on to learn about her co-hosting experience. In 2016, Julia's father approached her to ask for her help in finding a condo in BGC to invest in. "My idea was to find a damaged and old condo in the best area," Julia writes in her blog. 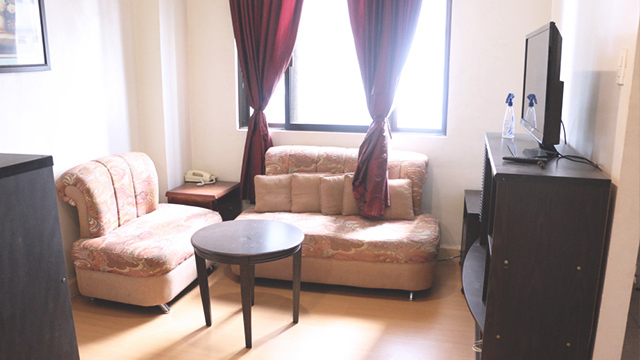 "I chose Burgos Circle and went to see a 37sqm studio on the top floor of Forbeswood Heights. Since it was a penthouse unit, the ceilings were high and it felt very spacious." Aside from having a gorgeous view, the building was across a grocery store, and was surrounded by many popular restaurants, bars, shops and even a mall with cinemas. "The actual unit was a mess, deteriorated, poorly decorated, and dirty. Most people would walk away and not give the place another thought, but I believed it would be the perfect investment." At the state it was in, Julia found out that the condo was being rented out for P25,000 per month. 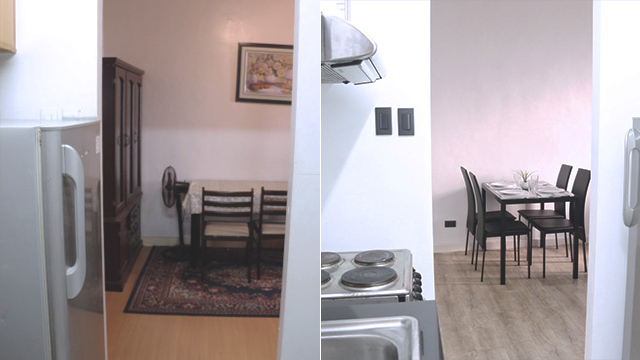 "After renovations, I knew my father could only rent it out for P30,000/month ($594), which made renovations seem unnecessary. "I wanted to make it worthwhile for him and make extra income for myself. I told him that we could make double or triple the monthly income if I put the condo up on Airbnb and managed it for him. Honestly, I had no experience with Airbnb but it was a risk I wanted to take as any entrepreneur would." 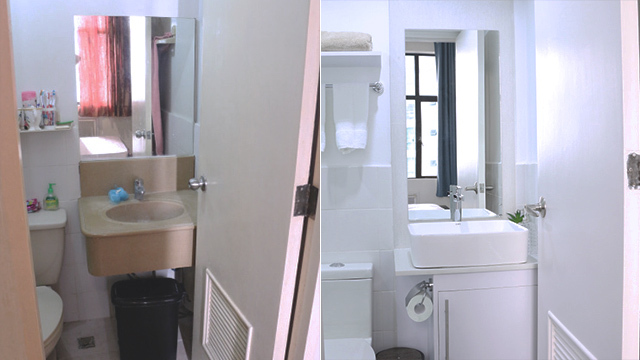 After negotiating with the original owners, her father was able to purchase the condo for P3.8 million. He agreed to hire Julia to run it, originally offering a 10 percent commision. But following in his footsteps (her dad is successful lawyer and partner), she negotiated her rate and asked for more. They eventually settled on 25 percent. "I’ve learned a lot from my father and he has been the best and most difficult teacher I could ask for. He never just handed something over to me, I’ve always had to work for it. I earn around P15,000 to P20,000 every month by managing (co-hosting) my father’s condo. That is around the same amount as many home-owners earn regularly by renting out a studio. I do everything on my phone and it takes very little time out of my day." During renovations, they converted the studio into a one-bedroom apartment, upgraded the furniture and added quality appliances. 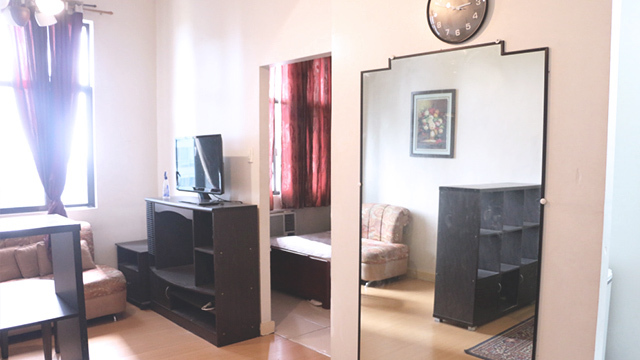 "The decision to make the unit a one-bedroom was to create more income. I placed a queen size mattress in the bedroom and a sofa bed in the living room. The unit could now accommodate four guests at a time with a door for privacy." 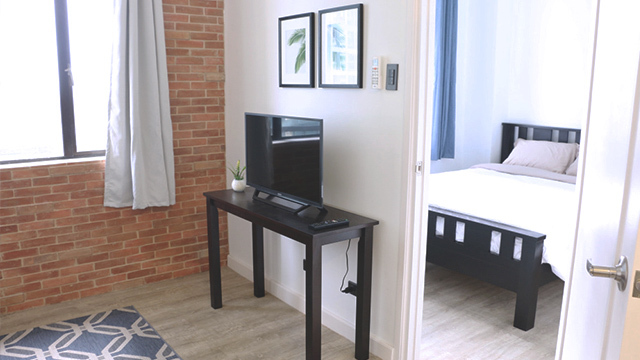 “'Julia’s Urban Brick Condo'” has a nightly price of P2,850 ($56), weekend nightly price of P3,050 ($60), cleaning fee of P500 ($10), Extra guest charge of P400 ($8) per person after 2, and weekly and monthly discounts. Our average monthly sales are around P70,000 ($1,390) and the average profit after bills is around P60,000 ($1,190). My statement had come true; we are earning double the profit of a regular rental and are recuperating the investment twice as fast." While Julia was lucky to have family looking for an investment, she shares that "you can become a neighborhood co-host with anyone, either by solely managing their home or being a co-host, meaning that you and the owner will both have access to the account to receive alerts and notifications. "If you approach an Airbnb host or person who owns their home, you can offer your services to manage their listing for a percentage. I can imagine a lot of home-owners would like to do this if they travel a lot and especially if they’d like to earn a large profit without the headache of managing it." In an interview with FemaleNetwork.com, Julia shares tips for first-time hosts on how to make sure operations run smoothly. She shares that before getting started, you should first check with the admin if the property is available to be rented out. "It is very important to ensure the building will allow Airbnb before investing in it." She also stresses that it's important "to have good communication with the admin as you will send daily emails for guest entries and more." You should also always be prepared to act fast in case of emergencies or unforeseen maintenance issues. Remember, renting out your unit to people you don't really know will always come with a risk. It's just a matter of minimizing it. "The co-manager should have good authority over the property to make quick decisions such as fixing issues made by guests. Like having engineers, contractors, housekeepers and more to fix any issue that may arise." Julia shares she had to learn this first-hand. "I once had a guest come back to the unit drunk and "fell" into the wall, which made a huge hole. I quickly had to call a contractor to seal up the wall and paint it before the next guest arrived." A housekeeper is also very crucial to maintain the unit and to keep it neat and presentable. 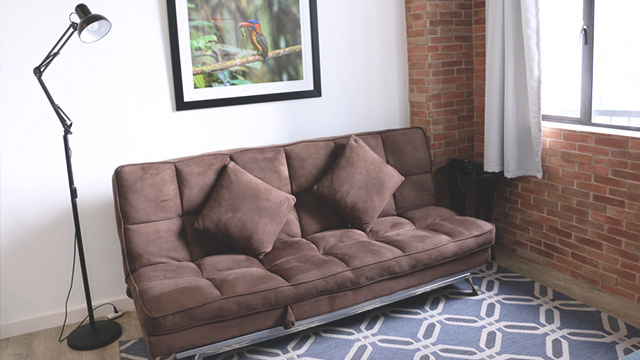 Keep in mind that your rating is very valuable, and you wouldn't want guests to get turned off because of a messy apartment. In a separate post, Julia writes that "If you want the perfect housekeeper, you will have to train them yourself, give them guidelines, and have good communication." It will help to have a dedicated housekeeper you can trust and establish a relationship with, but in case you're still searching, you may also try these reputable cleaning services you can hire for a day. To learn more about becoming a host on Airbnb, visit Julia's blog over at juliaquis.com.